The stone circle near the village of Avebury has been the site of many strange happenings. 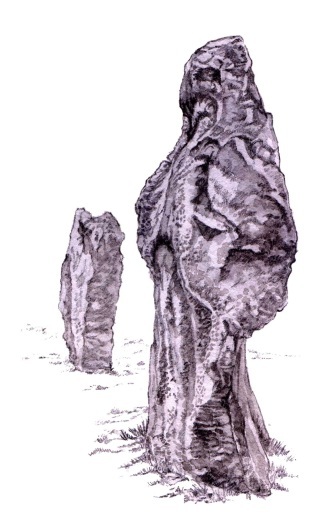 Small bands of faeries have been seen dancing around the main stone circle of this ancient monument in the moonlight, and lights and music have been seen by people driving past at night. Two wide avenues of stones lead from this site, one to the west and one to the south. The southern avenue leads to the Sanctuary on Overton Hill, this is another ancient site which consists of two circles of stone.